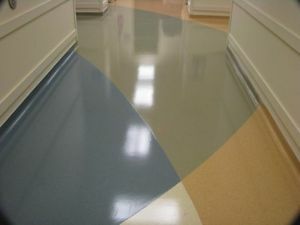 ServiceMaster Clean is now offering a urethane treatment for hard-surface floors. Traditionally acrylic treatments have been used, but our urethane finish provides a longer-lasting shine. Acrylic finishes dull faster and require significantly more maintenance between the recommended quarterly recoats. Urethane finish requires only one coat, contains no volatile organic compounds (VOCs) and is more slip resistant than conventional treatments. Urethane also eliminates in-between maintenance such as burnishing or buffing. Not only will the glossy shine last considerably longer, but your office will experience fewer maintenance disruptions over the two-year life cycle. A floor care program from ServiceMaster Clean will not only improve and maintain the appearance of your floors, but it will protect and extend the life of your hard-surface floor investment.